There are festivals around the world which attract mass attention each year, such as the Cherry Blossom in Japan and Carnival in Rio de Janeiro. However, to those “in the know”, there are plenty of bizarre and colourful annual events to go and experience. This week, we reveal our favourite celebrations, filled with laughter, colour and of course, photo opportunities! Known as the largest food fight in Italy, this bizarre festival sees the people of Ivrea dress for war and throw oranges at the opposing team. Yes, oranges. 500,000 pounds worth of the fruit, to be specific. This is all carried out in reference to a tale of a young woman who sparks war between common and royal folk. Be aware, it’s best not to throw an orange if you bruise like a peach! A few miles south of Big Pine Key, lies Looe Key Reef. In July each year, this ocean floor becomes a stage for snorkelers with musical instruments, entertaining divers with hits such as “Yellow Submarine” and “Under the Sea” from the Little Mermaid. You may feel slightly underdressed under the waves, as fancy dress is a tradition! This weird and wonderful event takes place to spread awareness of environmental issues affecting marine ecosystems so you can do some good whilst taking part. When temperatures drop to -20C in Yukon, the locals have a bizarre way of winding down and having a few laughs… Hair freezing! Head to the region’s hot springs, dip your hair underwater and style away. The winner of each category can receive up to $750 so you will see plenty of creative and hilarious entrants. This festival takes the concept of a beer garden in the sunshine to a new level. Pack a raft and some drinks and head down to the rivers of Helsinki for the “Beer Floating” festival. Here you will see plenty of locals socialising in their make-shift boats and taking full advantage of the glorious summer weather. Arguably the most famous festival in Thailand, this event marks the start of the Thai New Year. 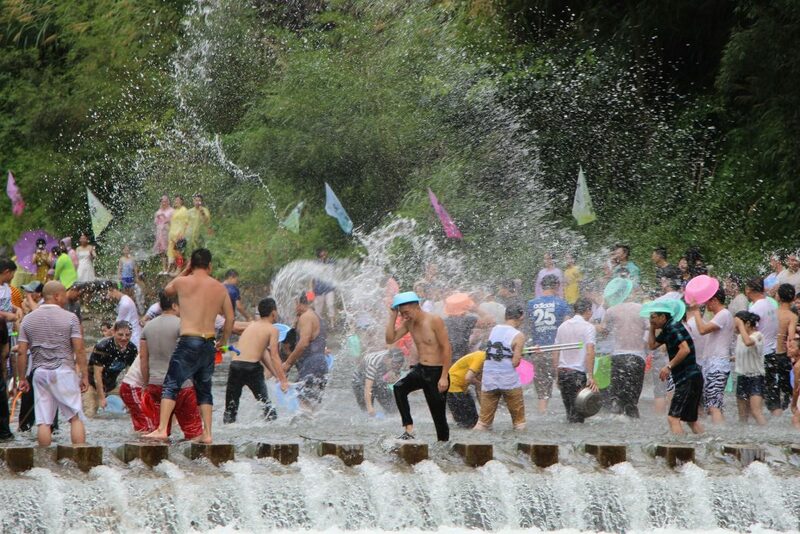 People flock to the streets of local towns and cities armed with super soakers and buckets of water to take part in this mass scale water fight. The festival does have cultural elements, as the ritual of bathing images of Buddha in water as a mark of respect is an important aspect of the Songkran. Take a ferry ride from Hong Kong over to Cheung Chau Island and take part in a festival that is equal parts delicious and entertaining. This week-long event features many activities and sights but the most famous is the “bun scrambling”. In this event, multiple participants climb a 60ft tower of buns, collecting as many as possible as a sign of fortune and prosperity. Inspired? Place an enquiry today and one of our Travel Experts will be in touch to arrange the holiday of a lifetime!